A wide assortment of Designer Chokhat Windows is offered to our prestigious clients. The Designer Chokhat Windows we offer is widely demanded by the clients for their availability in various sizes and specifications. Moreover, we assure our clients to deliver these products in given time frame. The Iron Window Grill provided by us is made using premium quality iron and is known for its excellent resistance to corrosion and abrasion. This grill is sturdy and durable. We “Shree Ram Febrication are manufacturing a wide range Steel Round Bar, Steel Grill, Carbon Steel Wire, Steel Bright Bar, etc. Being a well-distinguished company in the market, we are into offering Iron Window Grill. We offer superior quality balcony grills which are designed by our artisans who lay emphasis on the durability and reliability. They polish the grills with preventive polished which makes them resistant to corrosion and chemicals and physical influences. 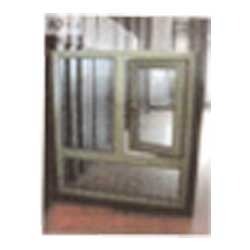 We have gained a remarkable position in the market that is involved in offering Iron Window Grill. 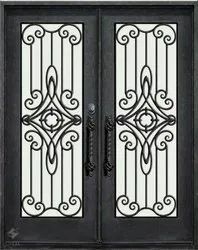 We bring forth our vast industrial experience and expertise in this business, instrumental in providing Iron Window Grill.